Samara is a California native who lives in Seattle, WA where she teaches yoga and works in international aid and development. Samara has spent the better part of 10 years working overseas in conflict and crisis contexts, while practicing and teaching yoga to United Nations staff and other aid workers. Recognizing the importance of access to wellness services for aid and development workers, she started the Aid Worker Wellness Directory Project and is currently mapping wellness classes that aid workers have access to globally, read more here. Samara was recently interviewed by the Give Back Yoga Foundation for an article in the Huffington Post on her experience teaching yoga in crisis and post-conflict contexts, read the full interview here. She has also written blogs for Search for Common Ground on Wellness for Peacebuilders who live and work in post-conflict countries and on the impact of trauma-informed movement programs. She has also written two blogs for Yoga Tune Up® on stress relief and resilience for aid workers and first responders. Samara is an avid lover of nature sports including cycling, stand up paddle boarding and hiking. She is an integrated Yoga Tune Up® teacher and movement educator, having completed a 70 hour certification in Yoga Tune Up® with Ariel Kiley and Dinneen Viggiano, the Roll Model®, including how to improve recovery and performance with soft tissue care and the physiology of relaxation, which was developed by Jill Miller, and all of the Yoga Tune Up® immersions. She is also a yoga teacher trainer with Yoga to the People 200hr teacher training, Twist Yoga 300hr training, Hosh Yoga Kids 25hr, and Earth Yoga 200hr. She also co-teaches an 18hr Trauma Informed Yoga training with Emily Pantalone through their organization Feet on the Ground. After living in Afghanistan and teaching yoga to aid workers, police officers, civil servants, and military personnel, she has become passionate about providing access to trauma-informed yoga and practices that focus the mind, relieve stress and anxiety, and increase strength and flexibility. She has studied yoga for trauma and self-regulation with Hala Khouri and Lisa Danylchuk, Mindful Yoga Therapy for Veterans with Post Traumatic Stress with Suzanne Manafort and the Give Back Yoga Foundation, TCTSY with David Emerson and Jenn Turner with the Trauma Center at the Justice Resource Institute (JRI), and trained in yoga and traumatic brain injury (TBI) with Love Your Brain foundation. Samara is co-founder of Feet on the Ground, an organization dedicated to building resilience through breath and movement, and the Aid Worker Wellness Directory. She has taken Off the Mat and Into the World with Seane Corn, Hala Khouri, and Suzanne Sterling and completed many Master classes with Hala Khouri, Stephanie Snyder, Maty Ezrati, and Matt Giordano. She is also currently part of Peter Levine's 3 year Somatic Experiencing® program and is also an Arvigo® Healing Practitioner and a Shamanic Reiki Master Teacher. 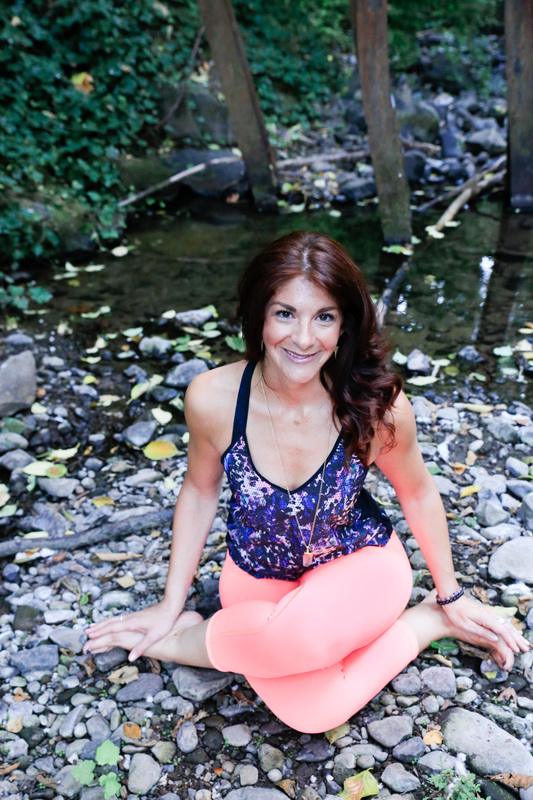 Samara teaches public classes and also works one on one with clients through Somatic Experiencing® Trauma-Informed Yoga and through Traditional Healing approaches. When not on the mat, you can usually find Samara outdoors, gardening, hiking, cycling, Stand Up Paddle boarding, or traveling around the world. In this workshop you will develop a personal toolbox of wellness practices to care for the mind, body and spirit. We will focus on simple yet powerful methods of self-care – yoga, meditation, self-massage and myofascial release with yoga tune up® therapy balls, breath practices, and more - that allow us to reconnect to ourselves so that we can show up with integrity as we engage in the world. In this Yoga Tune Up® (YTU) style workshop for Runners students learn simple and effective techniques designed to complement a runner's training program and combat the high impact, repetitive nature of running. This workshop will include the use of therapy balls, corrective exercises and breathing practices to reset, recover and revitalize. This 18hr Feet on the Ground training is designed for yoga teachers who desire to increase their understanding on the science and practices of trauma-informed movement programs. In this Yoga Tune Up® (YTU) style workshop we will focus on re-building our center and base from the hips out. The workshop will include targeted therapy ball sequences and corrective exercises for the hips, core, glutes, and other key areas, and have a focus on the pelvic floor and iliopsoas.